God wants to use your skills and gifts to make a difference! New Hope church provides you with a variety of opportunities to serve. Get plugged in today! Join New Hope’s Children’s Ministry Team by ministering to children from infants to 6th grade. Your loving service will have an eternal impact on the lives of children and their families! Scheduling and time commitment are flexible. Training is provided. *A detailed background screening is required for those interested in joining the Children’s Ministry Team. Join the DEAP Team! Are you willing to Drop Everything and Pray (DEAP)? To receive email updates or submit prayer requests or praise reports, contact us at [email protected]. Join our Welcome Team as it sets the stage for a positive experience for New Hope guests and visitors.With a warm smile and a friendly “hello,” you can help make visitors feel welcome as soon asthey walk through the doors to attend a weekend service. Members of the Welcome Team serve the same weekend each month. Providing assistance with children, seniors, etc. Giving directions to classrooms, bathrooms, etc. As a member of our Hospitality Team, you would take responsibility for the delicious refreshments and warm fellowship we enjoy every weekend after our services. As part of this important ministry, you will prep, serve and/or clean-up refreshments purchased by the church. You can serve at one or multiple services and will be placed on a rotating schedule (typically every four weeks). Setup and cleanup take about 30-45 minutes each. Do you enjoy cooking or showing your love to others through food? You can be a blessing to the Worship Team by bringing them breakfast on a Sunday morning to keep them nourished as they serve throughout the morning! If you’re interested in being a part, team members are typically scheduled once per month or whatever works for your schedule! Meals are typically delivered and ready for the Worship Team in between Sunday morning services. One simple yet important way you can serve at New Hope is by preparing our communication materials for the weekend ahead. As part of this team, you can help ensure our weekly bulletins include the proper fliers, sermon notes and special event materials that allow church attendees to stay connected and feel welcomed. Meet the group on Saturdays at 5pm. Enjoy a fun, easy and rewarding atmosphere and a chance to develop relationships with others while serving at the church! Take the opportunity to work behind the scenes preparing the communion elements and cleaning communion trays after the services. Communion is usually served the first full weekend of the month, and volunteers are on a rotating schedule. You can choose to assist with preparations on Saturday morning (takes approximately 40 minutes), help refresh crackers and juice after the Saturday evening service (approximately 20 minutes) or help clean-up after the 3rd service on Sunday. This is a great opportunity for those with a busier schedule because it doesn’t require a big time commitment! Join the Tech Team serving behind the scenes at New Hope’s services and events. Any previous experience is great , but the team will train you if you’re willing to learn. The Tech Team schedule is flexible and you’ll be scheduled based on your availability. Use your God-given musical gifts and abilities to facilitate and lead our church family in corporate worship. The time commitment usually involves a two hour, mid-week rehearsal and early arrival prior to services when you are scheduled to serve. The Worship Team schedule is flexible and is based on your availability. If you’d like to join our team, Michael will set up a time to meet with you and audition to hear your talents! Join our SOS team, a gracious group of individuals who enjoy serving behind the scenes to help New Hope prepare for the week ahead! This team meets every Thursday from 10am-12pm to assist with office work, curriculum prep, and various administrative tasks. Light refreshments are also provided. This is a great way to get to know other members of our church family, especially if you’re new to New Hope! Help families and individuals during crucial times of need, such as following the birth of a child, while recovering from a medical issue, or during a personal crisis. When opportunities arise, a meal sign-up is sent around via email to church members who can then volunteer to deliver a meal for a person or family in need. If you’d like to bless someone with the warmth and comfort of a meal, we encourage you to consider joining this team! New Hope needs ladies who are looking for unique opportunities to serve other women! As a key part of the Women’s Ministry, you could assist the women’s ministry team with various duties for events planned throughout the year. You can help us by setting up, cleaning up, serving, greeting or preparing food. Moms and daughters (middle school age and up) are welcome to serve! Reach out to needy families in the greater Lansing area by helping New Hope collect supplies for Christian Services. The church bulletin provides a list of items to be collected each month, ranging from clothes and schools supplies to food and nutritional items. Drop off donations in the baskets located by the main entrances to our building. .
New Hope partners with Christian Services to provide emergency diapers and formula to needy families in the greater Lansing area. You can serve local families that have fallen on hard times (lost jobs, abusive relationships, etc.) while they get back on their feet. As a member of the Emergency Diaper and Formula Ministry, you fill a need by delivering formula and/or diaper supplies when we are notified by Christian Services. You will be the hands and feet of Jesus, showing love and compassion during a hardship. This position doesn’t require a significant time commitment (typically once every couple of months), but has a lasting impact! When Christian Services receives a request from a needy family in the area, they contact Lou. She then reaches out to the team through texting to see who is available to run to the store, purchase the items, and then deliver them to the family in need. New Hope reimburses team members for all expenses incurred. Simply turn your receipt into the main office at New Hope. Have you ever wanted to provide one-on-one Christian care to people going through tough times? Are you a Christian adult that feels led by the Holy Spirit to help others through a difficult time? Could you confidentially come alongside someone who is hurting, to listen, care, encourage and pray? New Hope Stephen Ministers usually provide care to one person at a time, meeting with that person once a week for about an hour. If you’ve had some sort of challenge in your life that God has transformed into a message of hope, contact Phil Tobias to ask about Stephen Ministry today! If you feel the Holy Spirit calling you to help someone going through a difficult time, please take advantage of the opportunity to serve in this ministry. 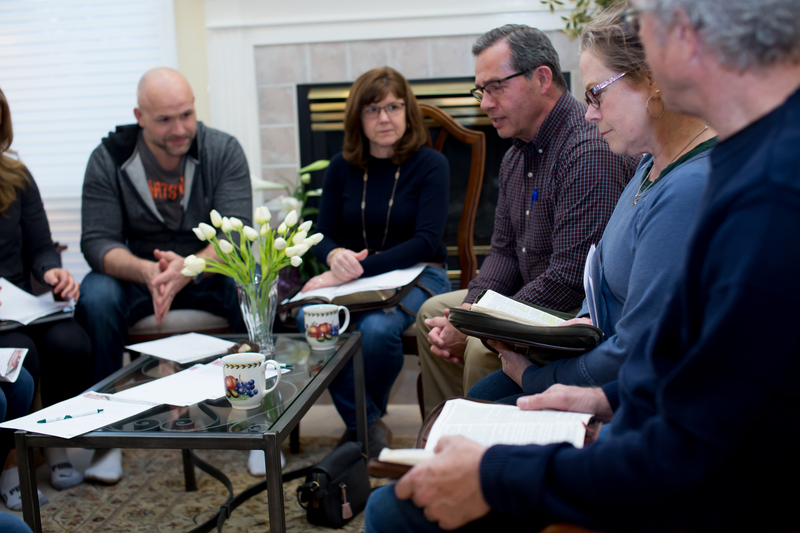 Reach out in response to the words of Jesus in Acts 1:8 – “you will be my witnesses in Jerusalem, Judea and Samaria and to the ends of the earth,” by joining our Missions Team. Join our team as we focus on evangelism in our community, across the country and around the globe while meeting tangible needs in the lives of those we serve. We especially need individuals who will champion local efforts by partnering with Lansing and Michigan-based ministries. Serve on our team and help to mobilize New Hope attendees to meet pressing needs in the greater Lansing area.